Dejar motor en marcha lenta 5 min. antes de apagarlo ( Leave engine to idle 5 min. before shutting). Despues De Arrancar el the motor, ponerlo a menos de 1000 rpm por 5 min. 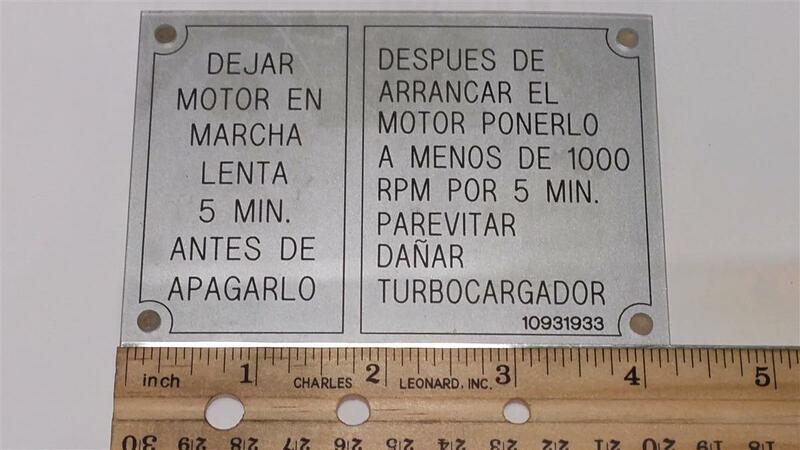 parevitar danar turbocargador (After starting the engine , put it at less than 1000 rpm for 5 min . parevitar harm turbocharger). DECAL IS IN SPANISH ONLY.